Home BlogHiking Iao Needle Is Taller Than What?? Iao Needle Is Taller Than What?? 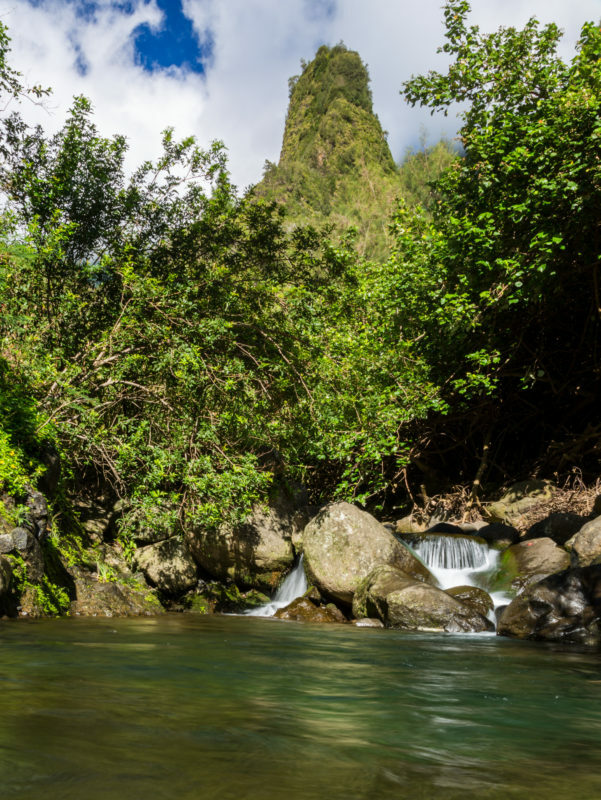 The Iao Needle in the Iao Valley State Park is one of Maui’s most famous landmarks. It’s a lush and green area in Wailuku with a beautiful rainforest showcasing a variety of plants that came to the Iao Valley from the first Hawaiians. With just a short walk you’ll reach the lookout point where you can get a wonderful view of the 1,200 feet tall needle – that’s even taller than the Eiffel Tower! The needle itself is actually a ridge viewed from the side, making it seem tall and skinny. When you finally do reach the lookout, the view you’ll get is gorgeous especially on a clear day. 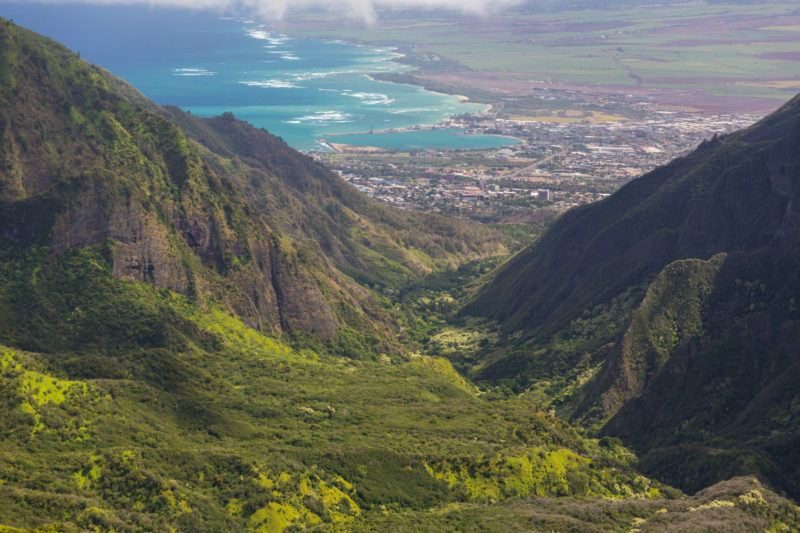 Kahului can be seen through the frame of Iao valley and is a spectacular sight. Local tip: Puu Kukui summit in Mauna Kahalawai (West Maui Mountains) is one of the wettest spots on Earth – expect rain. Check the local weather for updates and get there early to avoid the usual rain clouds that gather and pour for the rest of the day. Recently, the Iao stream transformed into the Wailuku River with heavy rains and flooding and has forced the closure of this state park since 2016. But the most updated announcements say that the park will open early August, which should be anytime in the next few days! If you’re interested in touring Iao Valley State Park, now is the best time to do it. With the new repairs in place, you’ll be one of the first to enjoy this updated park. For current park news and status, visit the DLNR’s website. Parking can be a bit crowded, so I recommend getting there early. There’s also a parking fee of $5 (credit only), but this can be waived if you’re a resident of Hawaii and have a Hawaii driver’s license or Hawaii ID. Walk the 0.6 miles up to the lookout on paved road. Super short walk that shouldn’t take you more than 20 minutes. There are stairs so you’ll have to be mindful of those with walking disabilities or the elderly. There’s a pretty botanical garden here (Ethnobotanical Loop Trail) that has an assorted variety of plants and trees that were brought by the Hawaiians when they arrived in this area. 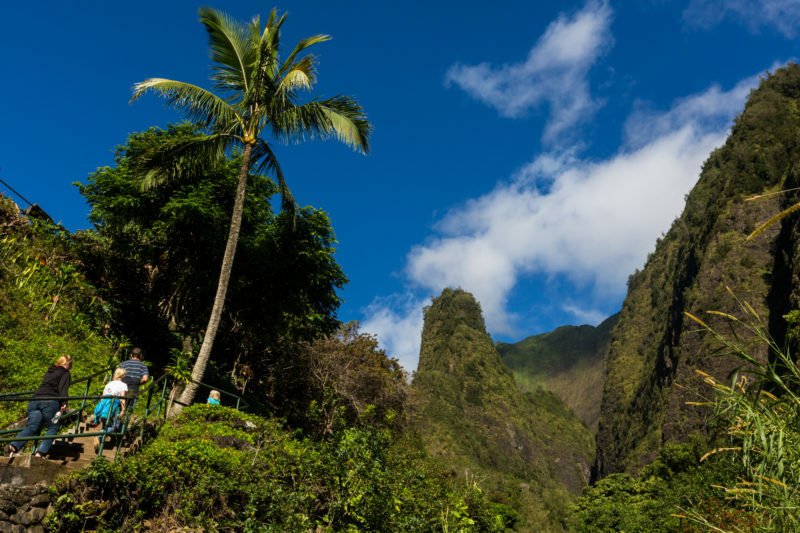 Visit Kepaniwai Park which is near Iao Valley State Park to learn about the different ethnicities that came to Hawaii during the sugarcane and pineapple picking days. Kepaniwai Park is a great place to have a picnic lunch. There are plenty of picnic tables, beautiful ethnic buildings, various plants, a nature center and a museum that is perfect for children. The Iao stream also runs through this park, which gives it such a pretty atmosphere. 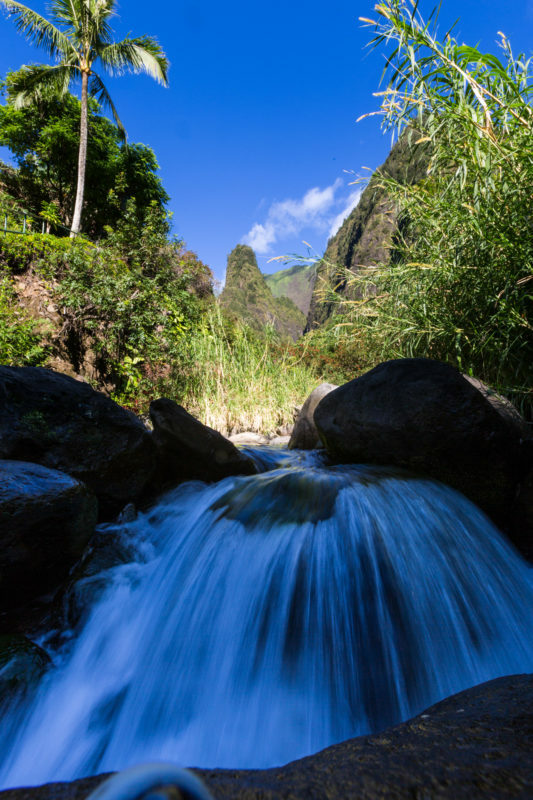 Because Iao Valley is such a huge attraction in Maui, you have your pick in which Iao Valley tour to choose from. But it you’re on Oahu and you want to squeeze in a tour to Maui, then my favorite tour is probably the Maui Day Trip since it takes you from Haleakala to Iao Valley and down to old Lahaina, which is a joy to explore. If you’re already in Maui, look into the Kahului Shore Excursion – this will not only cover Iao Valley, but also take you to the Maui Tropical Plantation where you’ll get to see the various fruits that are grown locally in Hawaii.